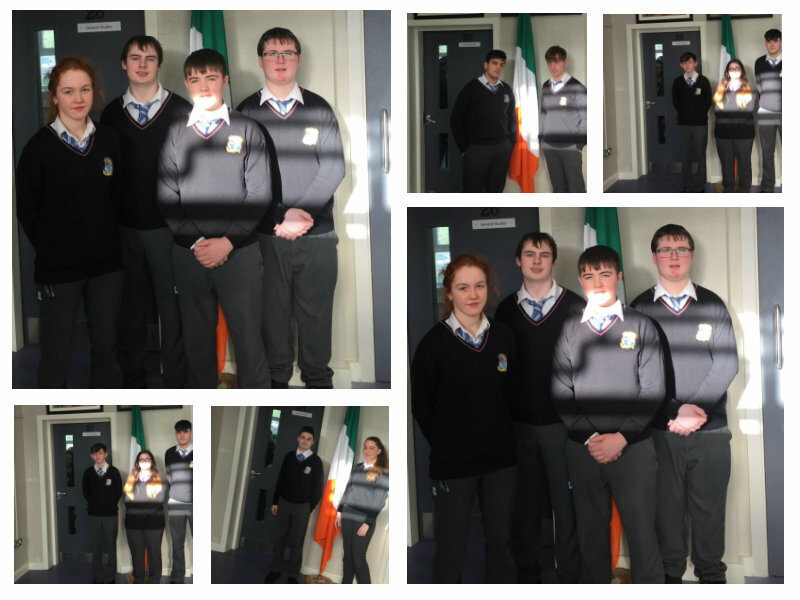 Coláiste Na Ríochta Student Council is up and running and has 2 meetings this term where positions such as chairperson, secretary. treasurer, P.R. officer were filled. Our Student council has 14 members, from across all year groups, including a senior and junior member from our ASD unit. Our chairperson is Diarmuid McDonnell, Secretary Danial Aherne, Treasurer Shauna Foley, PR Tara Downey. We have a strong continuity of membership from last year’s student’s council which is very positive and will hopefully lead to a very positive, active and busy year for our 2018-19 student council. Student Council Liaison Teacher is Pat O’Sullivan. Represent the second level student body in a positive and active manner. Ensure all classes are represented on our student council. Engage positively with our Coláiste Na Ríochta’s Bord of Management, parent’s council, school management and staff. Run some fundraising activities for charities and in school projects such as our school tour. Develop some lunchtime clubs to cater for various student’s interests. Create an awareness of our schools anti-bullying policy. Create an awareness of positive mental health and wellbeing for staff and students. Work with our green schools committee to help with their great work. Organize our school tour Barcelona 2018-19 in conjunction with our teachers and school management!!!! School Sports Wear – Design, cost and order school sports wear for students, especially first years. Represent and Promote our school positively in all student council based activities. Promote our school in the wider community by taking part in in-school and out of school activities. Offer our time and assistance with open days, parents’ evenings and graduations. The Student Council is democratically elected every year. It acts as a representative body for all the students in Coláiste na Ríochta. They are the voice of the students and their mandate is working for a better school for all students present and future. 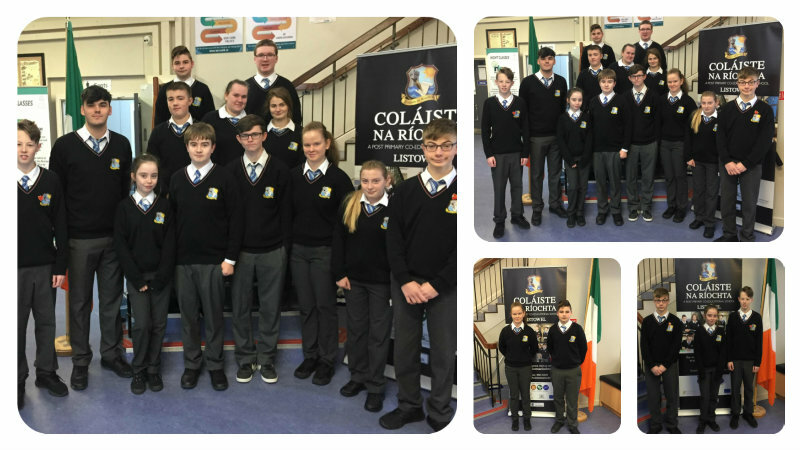 The Student Council provides an important forum for the views of the students of Coláiste Na Ríochta to be heard. It is a vital communication link generating good relations between students, staff and management and improves the general school atmosphere, condition and facilities. There are the 10 members (2 from each class group) in the Student Council for the academic year 2017-2018. Each member was nominated by 3 teachers and was elected by the students in their year group in September, 2017. 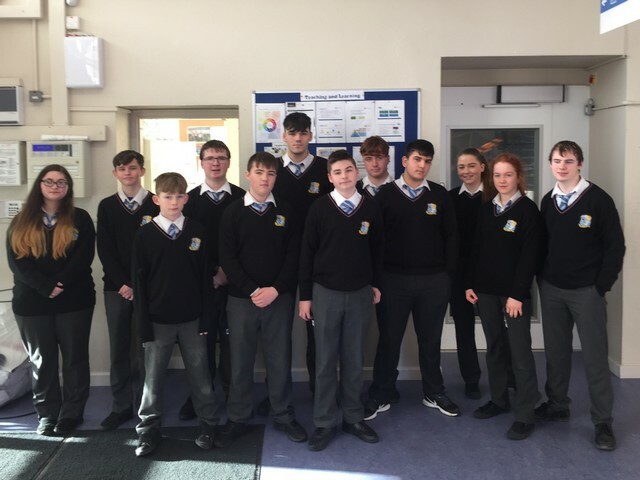 Coláiste Na Ríochta Student council generally meet every 2 weeks, where an agenda (drawn up by the lead teacher and chairperson) is discussed and any issues students wish to raise on behalf of their class is given adequate time for discussion. Each year we try to ensure some continuum of student council members from one year to the next. This allows for students to be familiar with the running of the student council and the roles members may acquire when they become members. When the 10 members are elected to the student council, each member is given a role with a certain level of responsibility, i.e. Chairperson, Vice-Chairperson, Secretary, Assistant Secretary, Treasurer etc. The issues which are discussed vary from academic, social, or infrastructural. The feelings and thoughts of the Student Council are then fed back to school management via the chairperson and the lead teacher whom meet with school management on a regular basis. Coláiste Na Ríochta Student Council Priorities for 2017/18. Engage positively with our Colaiste Na Riochtas parent’s council, school management and staff. Run some fundraising activities for charities and in school projects. To improve our school soccer/basketball court. Work with our green schools committee to help with the work of attaining our 2nd green flag. Hopefully organize a school tour!!!! Organise some school trips for the end of each term.